In this version of winter you cast off your boots and bulky layers and place your feet directly on the warm sand. Sand that you have gratefully borrowed for just a week. And you can’t stop looking at those marine blues of the sea and the graceful patterns the water makes. You want them etched in your mind forever. Damn, we live in a gorgeous world. A counterpoint to the previous post, I guess. 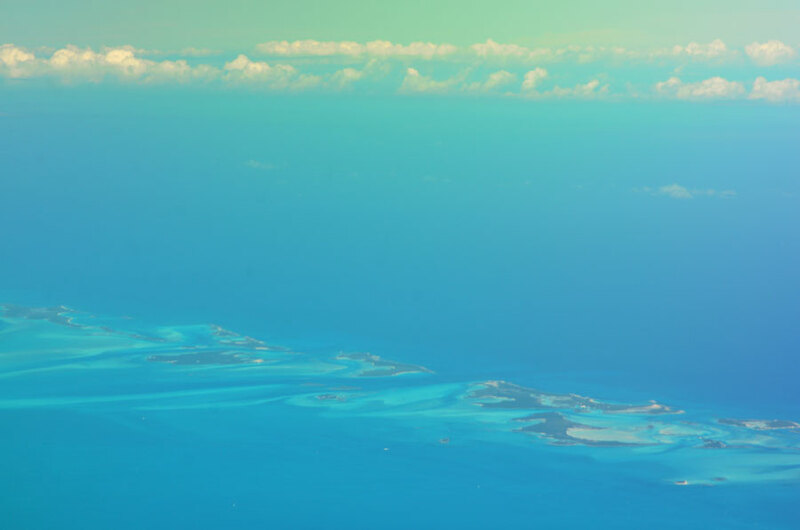 I’ve been away – feet in the sand, head in the clouds blue sky. Well, I am back in the cold now too, Victor. Heading out for a ski shortly! Are you back in Edmonton again? It’s been harshley cold there. I think everyone is looking forward to spring. Jealous!!! 🙂 Gorgeously warm… impossible to imagine here at the moment! You guys are just getting relentless harsh weather from what I hear! I hope things settle down there. An early spring is in order. It was gorgeous, Cath, I was so grateful to have the chance to go. The seashore there is astonishingly beautiful. I love the diversity of our world! Thanks very much, Adrian, I was so thrilled to experience a little of this place. Your pictures Karen are in total harmony with the snowy endless northern silence. I love them. Thanks so much, Alexander. Traded the snow for sand for a short while, both are beautiful but the warmth was wonderful! Thanks, Harrie. The landscape there was perfection! I was just thinking you must be somewhere else. Beautiful photos. Give me the snow, the cold, the bone chilling wind any day! Winter is a magical time of year, when nature regales us with the pleasure of watching the familiar transformed, the mundane adorned, and the landscape itself reshaped by the whims of the wind and snow playing with abandon.
. . . yeah, I don’t buy it either, but it sounds better than saying “Crap, it’s cold!”, “Arrgh! . . . I’m blinded by the snow!”, “I can’t feel my fingers!”, and the everpopular “I think my bits are frozen off!”. Those are very nice photos. 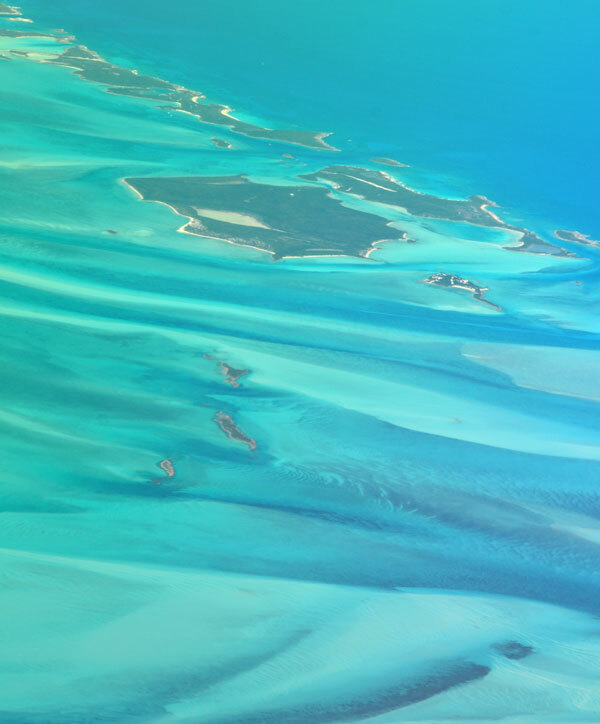 Bahama is yet another in our list of places to eventually visit. 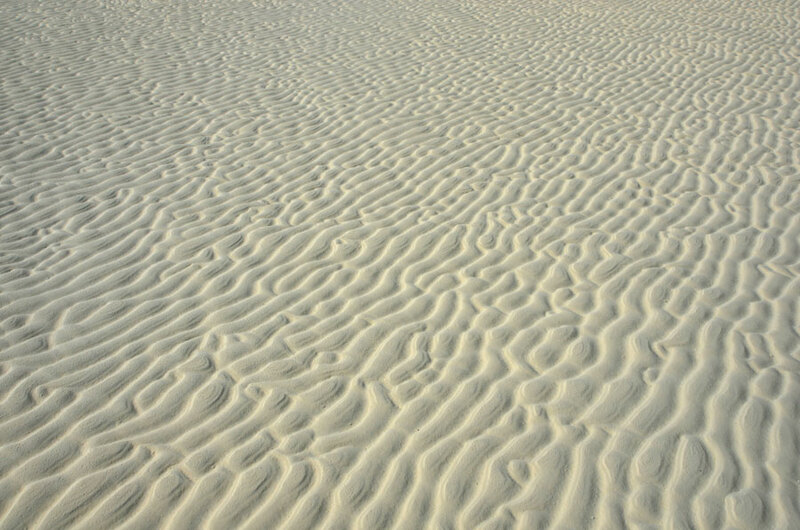 I do like the sand patterns . . . I’d be reluctant to walk on them. Emilio, I think those of us that go through tough winters really appreciate the other seasons! Winter just overstays its welcome. 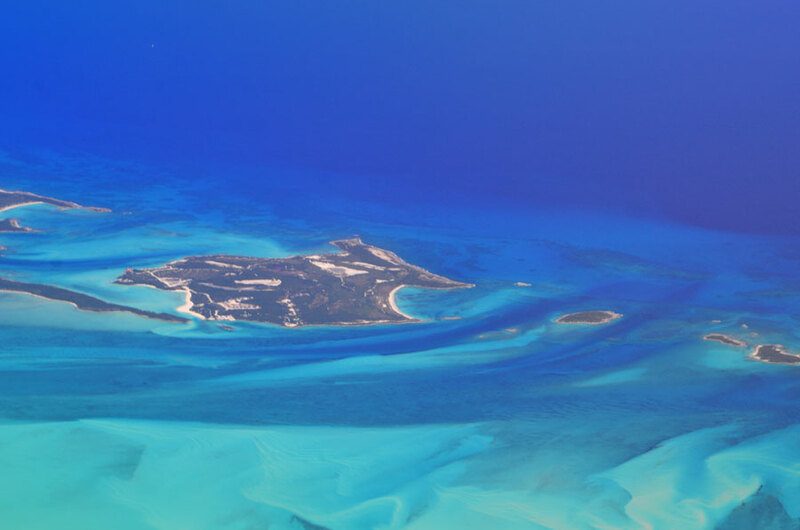 It was a wonderful break, and I highly recommend the Bahamas. I hope you get a chance to go. Now that I’m bach home I will be hitting the beach in my dreams too! I felt so lucky to get a chance to be there. It was bliss! I’love your pictures Karen, their are very nice. I do love winter and the snow but full-on sun and warmth was sooo good! Yes, skiing is wonderful, the conditions are pretty good for the time being. A little salt water in the eyes but thankfully no sand. I had a wonderful holiday, thank you, Ashley! 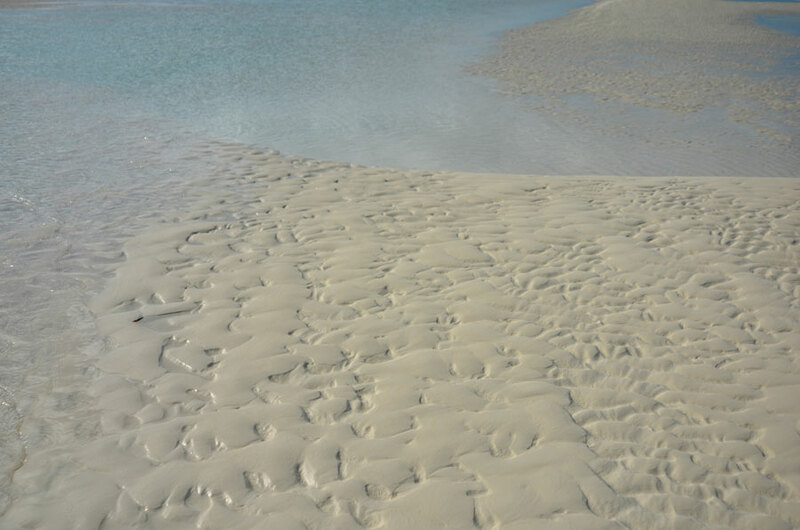 I love those sand patterns too, and the way the sea shapes the edges of the land. 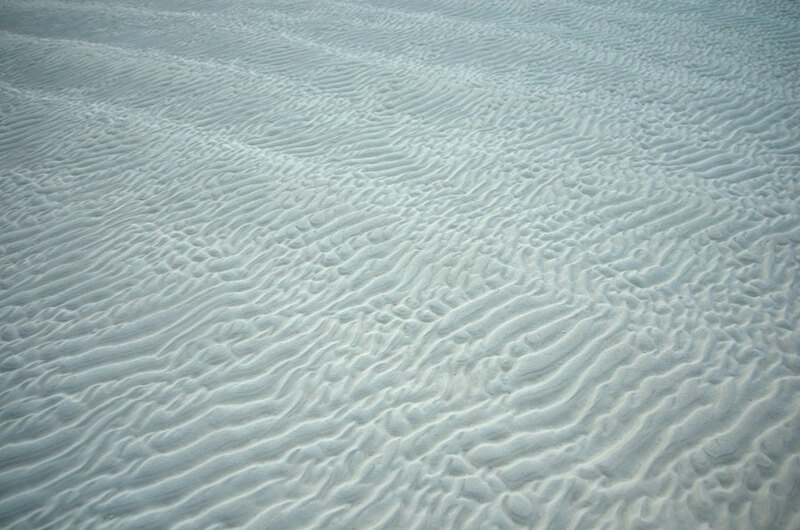 Beautiful – the sand and sea together make such wonderful patterns. That little hiatus reminds you there is a summer somewhere, then you can go back and enjoy the lovely crisp winter days! It was good to remember what summer feels like! I kept thinking I have to remember all those gorgeous colours, too. Beautiful Karen. I remember how clear the water was like there was nothing between you and the fish. Sigh is right. Wow, what I’d give…beautiful shots, Karen! I genuinely thought the thumbnail was a picture of snow! *sigh* indeed! A direct contrast from your usual environment. What a wonderful world with such variety! I think this is the thing Karen, you just love doing what you do, and it shows time after time. Beautiful. beautiful scenes… I too have problems finding subjects in winter, close to where I live… but sometimes the sun peeks out… and then even if it’s cold, there are visual moments. We could do with some weather like that here in the UK. Looks like paradise! Wonderful view in the cold winter! Soo beautiful! “Damn, we live in a gorgeous world.” YES! I’m happy for you! As much as I know you love winter, this is surely a very. good. thing. And i thought i was looking at ice… until the fourth photo! Wonderful and warm. 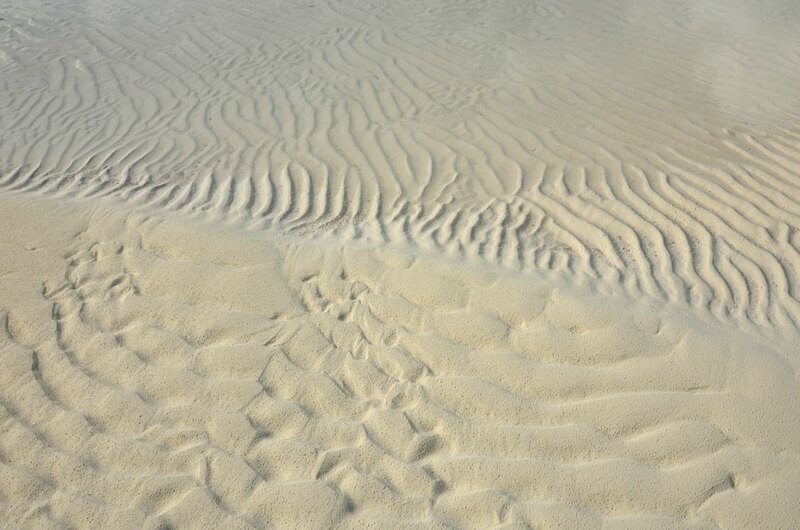 Love the patterns in the sand.